Still on the World Cup fever, there is nothing one would not see on the streets of Lagos, Nigeria. 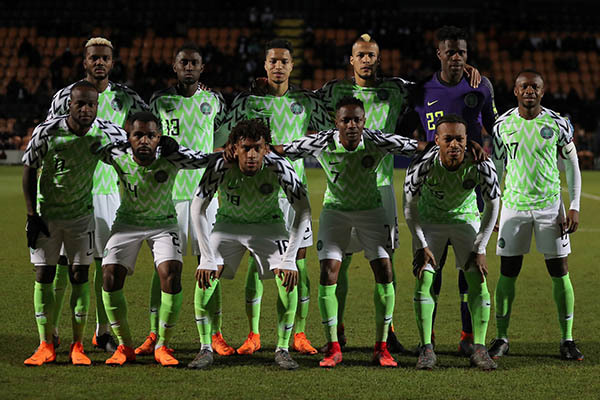 It seemed like a partnership made in heaven when Nike released the official world cup kits for the Super Eagles National team squad, and weeks after the release (and Nike also stating it had run out of stock), the beautiful Kit has not stopped trooping into Nigeria and commercial jersey sellers have surely been cashing out. The only point to note here is that the Authentic Nike Made Jersey had a price tag of N41,000+, a price which Nigerians were not so happy with and it prompted the entrepreneurs from Thailand and our very own Aba to make their version of the Original Jersey. Now there is a photo which is going viral on social media and it shows a man selling the Jersey in a Lagos traffic.